If you’re like most homeowners, you probably don’t think about your hot water heater until it needs to be repaired or replaced. 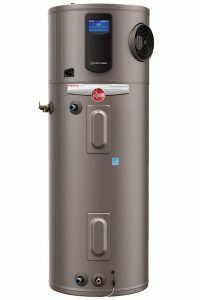 If you need to have a new hot water heater installed, you may want to consider a hybrid heat pump water heater. One of the main reasons why this style of hot water heater is becoming popular is due to its efficiency. Heat pump water heaters are two to three times as efficient as a conventional hot water heater that runs off of electricity. Your refrigerator uses a compressor to remove the heat that’s inside of your fridge and transfers it to the outside area. A hybrid heat pump water heater uses the same philosophy, but it does it in reverse — heat is taken from the outside air and transferred inside to warm the water that is kept in a holding tank. In addition, there is also a backup mechanism to heat the water when the outside air is too cool to use. LOOKING FOR THE BEST HEAT PUMP WATER HEATER? Make sure your heat pump water heater is receiving power, and is turned on. Check the thermostat–is it set too high, or too low? Check any filters, and clean them. Clean the coils of the outdoor unit. If these four steps don’t work, call the experts at All County Plumbing. We’ll be there for you! Whether it’s a repair, replacement or new installation, if you have any questions, be sure to contact us regarding your hot water heater. 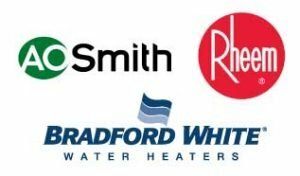 We offer years of experience in sales, installation, repair or replacements and maintenance of all types of water heaters. Call us at All County Plumbing LLC and ask us about our heat pump water heater services today!